A large study of Merck & Co Inc’s experimental cholesterol drug anacetrapib found that it cut the risk of heart attack and death by a modest 9 percent, which could be due to its affect on bad LDL cholesterol, researchers said on Tuesday. Merck said it had not decided whether to seek regulatory approval in the United States and elsewhere for anacetrapib – part of a class known as CETP inhibitors designed to raise HDL, the so-called good cholesterol. The company, which announced in June that the trial had met its main goal, also repeated previous findings that prolonged use led to build up of the drug in fat tissue. A little over a decade ago, CETP inhibitors were hailed as the next big heart drug but companies including Pfizer Inc, Eli Lilly and Roche eventually scrapped development programs amid lack of efficacy or safety issues. On Tuesday, Merck presented in Barcelona at the European Society of Cardiology Congress results from its 4-year trial of about 30,000 high-risk heart patients already on statin drugs. Statin drugs lower levels of LDL cholesterol. The study, also published in the New England Journal of Medicine, found that adding anacetrapib to a statin reduced the combined risk of heart attack, heart-related death and need for repeat artery-clearing procedures to 10.8 percent, compared with 11.8 percent for patients on a placebo and a statin. The trial, led by the University of Oxford and funded by Merck, did not find a significant difference in the risk of ischemic stroke. The researchers, writing in the New England Journal of Medicine, noted that anacetrapib raised blood levels of good cholesterol by a mean of 43 mg per deciliter compared to the placebo. 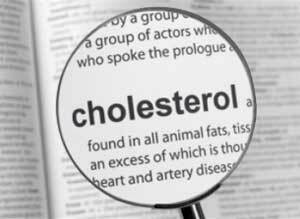 The drug also lowered levels of non-HDL cholesterol by 17 mg per deciliter – a level associated with a 10 percent reduction in the risk of coronary death or heart attack. “This result reduces the likelihood that other actions of anacetrapib played a major role in modifying the risk of coronary events,” researchers concluded. Merck said safety data was generally consistent with earlier trials – anacetrapib patients had slightly higher blood pressure levels than the placebo group – but an analysis showed that the experimental drug accumulates in adipose tissue. It found that the amount of anacetrapib in fat tissue fell only a small amount a year after treatment ended. Merck said animal studies have not indicated harmful effects of anacetrapib in adipose structure or function, but a planned two-year follow up of patients is expected to provide information on longer term effects.